Chiropractors detect and correct misalignment of the spinal column by doing an adjustment. By making a change to the spinal column, there is an effect on the nervous system. 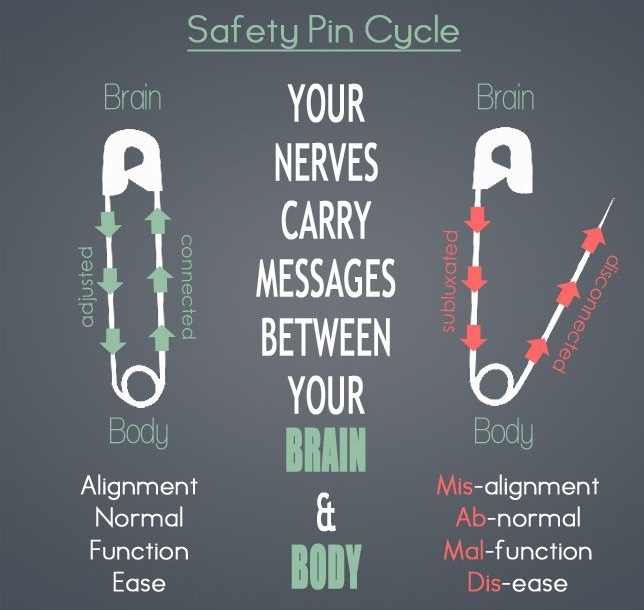 This will have an impact at the specific level that the adjustment was done, but it can also have an effect on the entire body because it will make a change to the nervous system. People recognize chiropractic care as an effective solution for pain and pain is often what drives people to seek out chiropractic care. Pain is a distress signal that lets us know that something is wrong and of course chiropractic is very effective in decreasing and often eliminating pain. However, using chiropractic care only for pain relief is like using an iPhone only as a flashlight- such a waste of an opportunity! The true benefit of the chiropractic adjustment is restoring proper function so that there is no disruption of the vital information being sent back and forth between the brain and the body. Proper function is essential for a healthy life! The effects of a chiropractic adjustment are extensive. By restoring proper function, our bodies can do what they are meant to do which is repair and self-heal. Chiropractors aid the body in restoring function and by doing so all systems of the body will benefit because the nervous system will be functioning better which is why everyone needs a great chiropractor as part of their wellness team! This time of year, so many people are looking for ways to boost their immunity. There are lots of things you can do to help: proper hand washing, supplements, getting more sleep, decreasing stress, eating less sugar, exercise and of course regular visits to your chiropractor to keep your nervous system functioning properly!